Bring the oats and milk in saucepan to a boil. 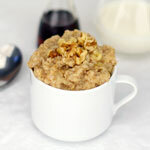 Reduce to a simmer and cook until the oatmeal has reached the desired thickness. Meanwhile, chop up the strawberries and bananas into small pieces. When the oatmeal is done mix in the strawberries and bananas and pour everything into a serving bowl. 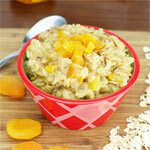 Thanks to "Griffin" who has submitted a couple oatmeal recipes to the site. I've been making a couple of the recipes today (6/11/11) that people have submitted and thought I might make a couple of suggestions about this one. This recipe is very nice with just the bananas. So if you don't have strawberries, just make it without them. 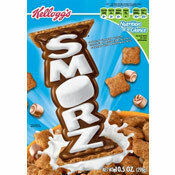 You could also add a Tablespoon of strawberry jam as a replacement. Swirl it in the serving bowl for optimum presentation. 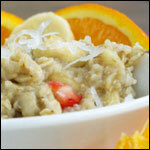 I liked adding a Tablespoon of brown sugar to this oatmeal (stirred in with the bananas). Bananas and brown sugar have a special relationship. The slight tinge of molasses in the sugar complements bananas in almost any dish. For a final garnish, consider a sprinkling of shredded coconut... a tropical finish to an already fabulously fruity breakfast. A healthy breakfast that should satisfy any fruit lover. Also try adding pineapple or any of your favorite fruits. Mr Breakfast would like to thank Griffin for this recipe. 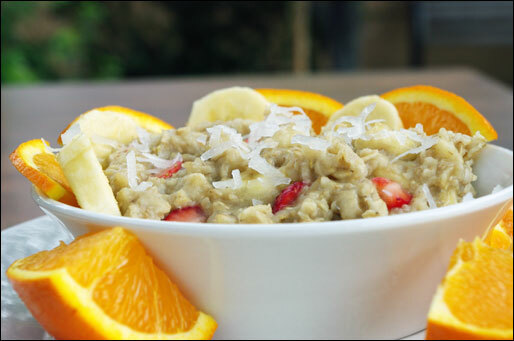 What do you think of Strawberry Banana Blast Oatmeal? 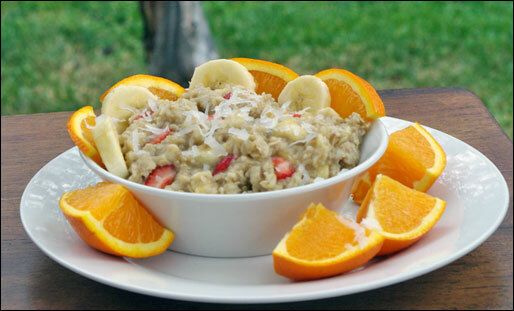 We made this for Fiesta so now it is Fiesta Oatmeal! You can use oranges and bananas on the side and put strawberries in the middle so it looks like a flower. 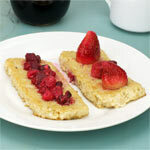 I can not eat bananas, however I did the strawberries and put the brown sugar sprinkle just touch, and the coconut. I never have used the milk to cook it with before, always water. WHAT A difference. YUM!